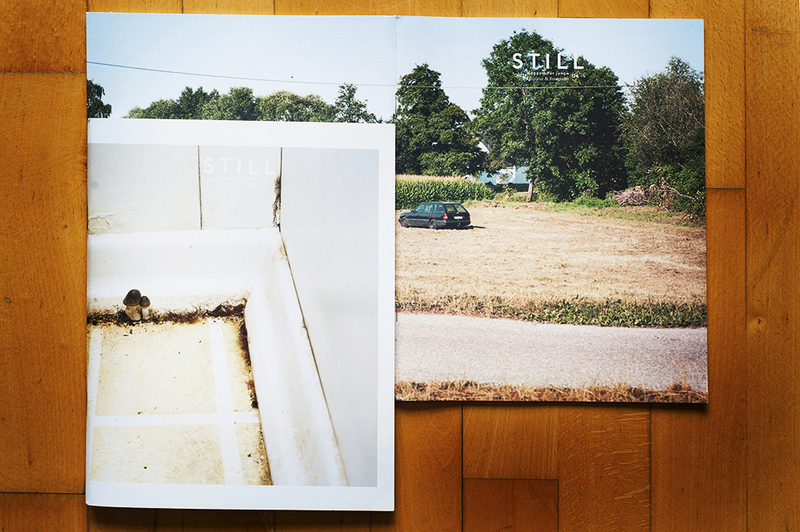 S T I L L is a magazine for contemporary photography and writing, based between Berlin and New York, launched in March 2013. A young magazine in continuous evolution and growth. While waiting for the third issue to come out, the Photocaptionist interviews them to explore their language, aim and future plans. Nicoletta Barbata: In the first page of each issue there is a quote from T.S. Eliot: “… at the still point, there the dance is”. T.S. Eliot and the Modernist poetry represent an irregular language, made by fragments, with no logic, deeply visual. This approach seems to be the DNA of S T I L L, where images and narratives are clearly detached and, at first glance, without connections. How do you create a cohesive project? How do you deal with selecting images and texts? S T I L L: Great that you mention the idea of fragments in this context, as our approach is also partly fragmental. 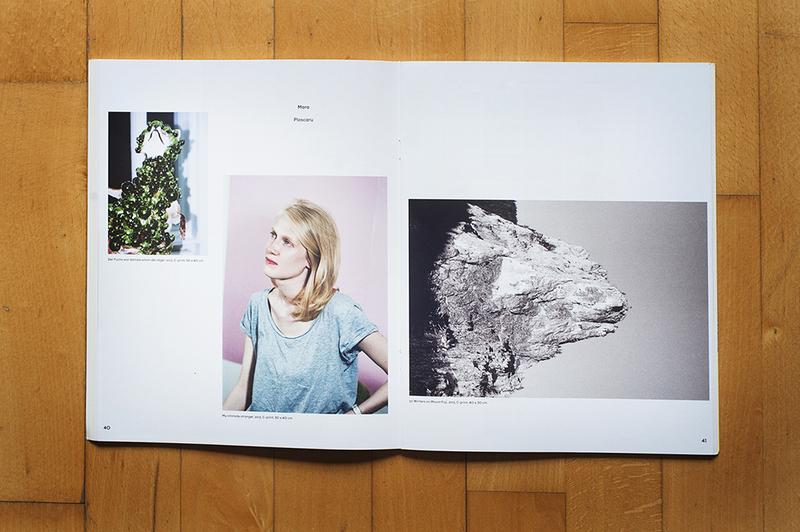 The works are carefully curated, but they are treated like fragments, bound together in a 84 page publication. Some works are self-contained units, some are even fragments themselves. Eliot and his quote from ‘Burnt Norton’ just gave us one idea of how to interpret our magazine, by raising awareness for dynamics, stillness and movement and the apparent incompatibility of both. NB: In your magazine, literature and images seem to be independent. Story-telling has a leading role in the magazine, in all its forms. Both texts and images have the same importance and hierarchy, imagination is the common denominator: reading words and thinking about the visual story or, on the contrary, looking at images and investing them with a narrative. Is this the concept behind S T I L L ? S T I L L: Both media—texts and images—have their very own artistic value and way to map the world, and yet they have much in common. Using imagination, building own narratives, that’s one way to read S T I L L.
NB: In the first issue the structure is defined by a portfolio, narratives, another portfolio, narratives… However, the second one seems to have a cyclical structure, there are three sections: narratives at the beginning, a series of portfolios in the middle, narratives at the end. This structure is also supported by the issue’s design: a different type of paper for texts and images. What about the next issue? Would you try to find a new format for each issue? Or are there other reason behind this choice? S T I L L: We are constantly evolving our format. In the future we want to open up the structure even more, future issues—same as some works in it—may not be completed or ‘closed’ at the time of publication. What we are looking for is a format that enables us to rearrange and continue completing issues after their release. NB: The sequence of words and images is very rhythmic, never trivial, and driven by a careful layout. Which is the role of design and layout when talking about creating a coherent project for the magazine? S T I L L: The surface, the material and the design aspects have always interested us; with many of our magazine-making colleagues we share a strong bibliophilia. Ever since man produces books, design plays a crucial role, thus style and typography have a long tradition. It’s not just about readability or recognizability, it’s also about attractiveness. If you want people to read your text, make it look good! One crucial challenge for future publishing in a new, digital environment is not to forget about this historical design tradition. NB: How would you describe your approach to sequencing in the magazine? Would you recommend any specific rules for sequencing texts and images? S T I L L: When making the magazine, we try to build an arc of suspense, maybe similar to tracks on a vinyl album. But that is due more to the linear framework of a printed magazine than to our idea of sequencing it. We don’t stick too much to a linear narrative, that’s not what this kind of collection is about, it should rather be read in clusters, and as the feedback shows, every reader finds his own way of exploring the magazine. NB: There is no theme for each issue. In addition to the high quality of the works, which are your criteria in selecting the projects for an issue? S T I L L: We renounce the idea of an overall theme. Our goal for each issue is to offer a new collection of high quality, contemporary and—that’s an important criterion—new work. In literature, about 90% of the texts—including those by established writers like Friederike Mayröcker, Stefanie de Velasco or Jeffrey McDaniel—are published in S T I L L for the first time. Furthermore, we especially promote emerging artists, that means, those who—independent of their age—are at the beginning of creating a body of work. At its best, S T I L L wants to be a laboratory for contemporary writing and art production. In the end, it’s obviously also a very subjective, personal choice of the editors. NB: What is your relationship with and opinion of your ‘colleague’ magazine Der Greif? 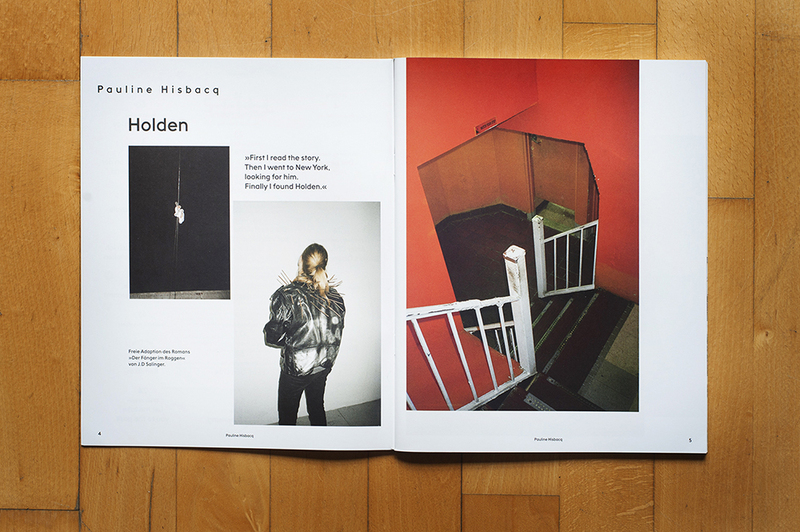 It’s quite interesting for us that the only two printed magazine on photography and literature are both German. We noticed that in one occasion you featured the same artist, was that a coincidence? S T I L L: Der Greif existed before S T I L L—but it appeared on our radar only after we started S T I L L. Both magazines arose independently. The makers of Der Greif are our colleagues, we exchange thoughts about magazine subjects on a regular basis. Furthermore, S T I L L was one of the first to publish poems by Andreas Bülhoff, a Berlin writer and friend of ours, who curated the literature section in Der Greif’s last issue. Yet S T I L L has a fairly different approach: in photography we focus more on portfolios and bodies of work—in literature we try to give texts the same space as photography. Additionally we include prose and dramatic writing. And yes, it’s a coincidence. Warm greetings to Augsburg! NB: What are you up next? Any further developments or projects beyond the next forthcoming issue? S T I L L: With our next issue, we attempt to establish S T I L L more internationally, our team is now basically working from Berlin and New York. We all have day jobs, so sometimes it’s just impossible to implement all our ideas for the magazine. With S T I L L, we want to keep doing what we are good at, and continue to constantly explore the conditions and limits of contemporary publishing. NB: How did you come up with the idea of S T I L L? Why the spaces between the letter of the name? S T I L L: Not even we as the publishers have a coherent explanation for our name giving, some things are better left unspoken. NB: What about the language? Are you planning to translate the German texts into English to reach a wider audience? S T I L L: That’s in fact one of our medium-term goals. The photo section is already entirely in English, about a quarter of our literature is originally in English. Translations have always been part of our project: we are working on concepts to make most of the writing ‘accessible’ for non-German readers. But S T I L L’s main focus in literature will continue to be contemporary German-speaking writing—both in German and in translation. Nicoletta Barbata is a photographer working on personal projects, combining writing and images. She is currently waiting to be ready to embrace her Greek past.